DISTRICT HEIGHTS, Md. 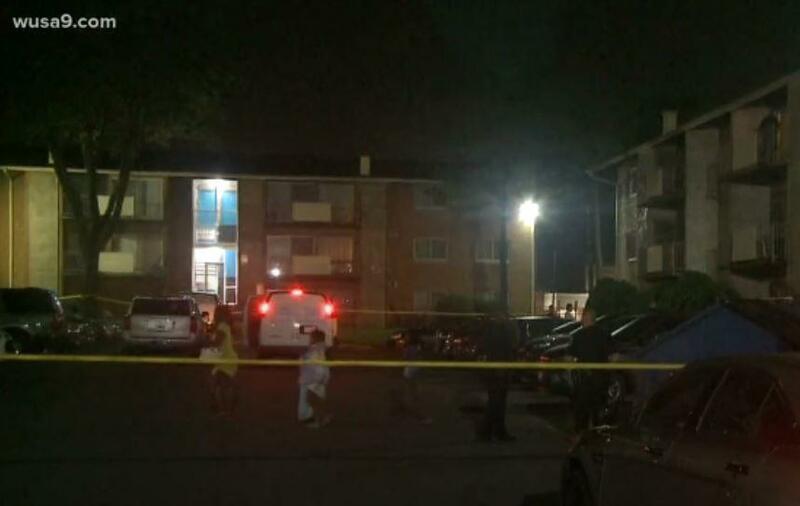 -- Two Maryland police officers were shot while serving a drug-related search warrant at the wrong apartment late Wednesday, according to law enforcement officials. The resident shot the officers as soon as they opened the door, thinking they were home invaders, authorities said. No criminal charges will be filed against the man, Prince George's County Police Chief Hank Stawinski said Thursday. "The individual that we are targeting does not live at that address ... a law-abiding, hard-working citizen of Prince George's County and his daughter were home at the point where we were executing that search warrant," Stawinski said. Both Prince George's County Police Department officers were flown to a Baltimore shock trauma center with injuries that did not appear to be life threatening, department spokeswoman Jennifer Donelan told reporters early Thursday. As of Thursday afternoon, one officer has been released from the hospital. The other remained hospitalized to undergo surgery on an arm. "He did not know there were police officers attempting to enter his apartment," Stawinski said. "That individual acted to protect himself and his daughter from what he believed to be a threat of home invasion." "As that door now opens, he realizes now that those are police officers," Stawinski said. "He immediately drops that weapon, he immediately goes to the window and starts communicating, 'you got the wrong address don't shoot my daughter'." "It would be inappropriate to hold this gentleman criminally responsible for his actions," Stawinski said, explaining that their hunt for a local drug dealer, and a tip from an informant, had led them to the apartment. "The investigation led us to the wrong address," Stawinski said, adding that the resident was just as worried about the safety of the two police officers when he realized he'd wounded them, "as he was worried about the safety of his own daughter."